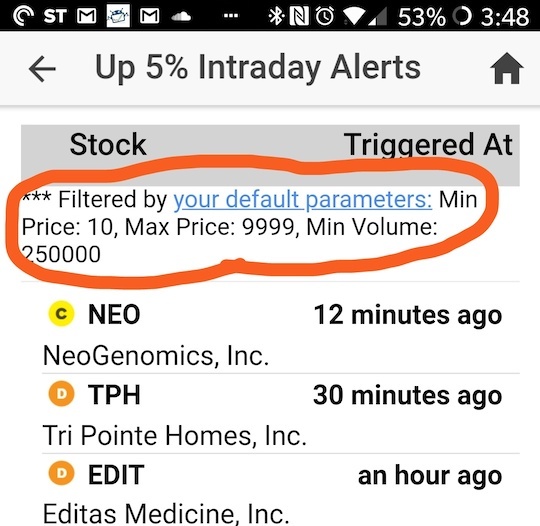 You can now get intraday alerts pushed to your device from any stock, not just those in your watchlists & portfolios. 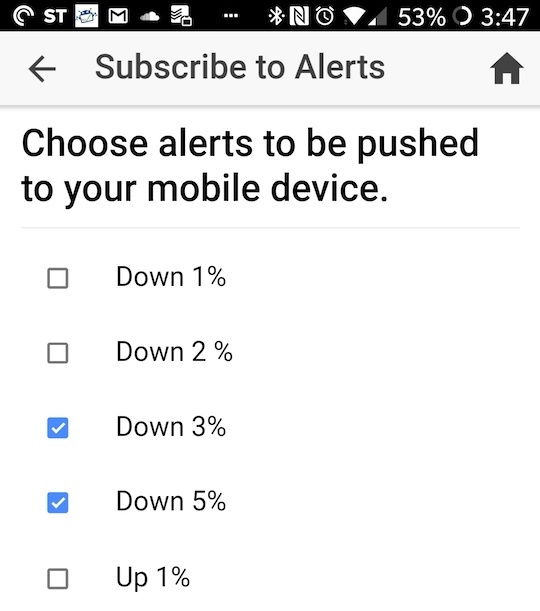 "My Portfolio & Watchlist Alerts" will take you to the list of intraday alerts specific to what you've defined for each of your portfolios and watchlists. "Alerts Listing" hasn't changed -- it takes you to the list of alert types. 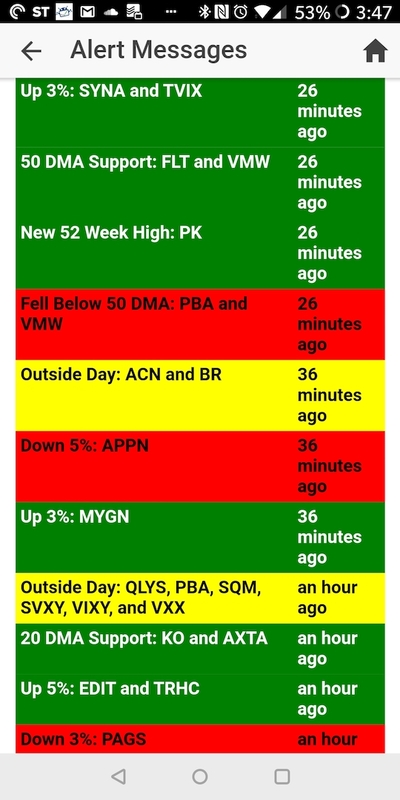 From there you can see stocks which triggered the chosen alert. The big difference now is the stocks will be filtered according to your default scan preferences. That list contains the messages which will be pushed to your mobile device if you've chosen to get push notifications (in the app's preferences, which you can access via the side menu). The "Configure Alerts" button takes you to the page where you can select which of the alerts you wish to track. I hope you find the new functionality useful.